We are thrilled to announce MJC has been officially listed on our exchange platform. This listing is a part of their plan to expand in SEA and Asian markets. MJC is a financial platform where sellers or vendors can introduce the cryptocurrency mode of payments to their existing e-commerce malls and shops. This is made possible through the installation of payment modules to their shopping carts. The project is projected to pave the way for the empowerment of cryptocurrency as a means of purchasing goods and services in the market. MJC itself believes that cryptocurrency payments will gain mass adoption in the near future despite the current market sentiment. Bluebelt’s wide network will serve as a catalyst to penetrate new emerging markets with MJC’s payment platform. Both MJC and Bluebelt are hopeful that the listing agreement will bring about new innovations in facilitating payment transactions via cryptocurrency. For interested traders, MJC tokens will be tradable on the 26th of December 2018. 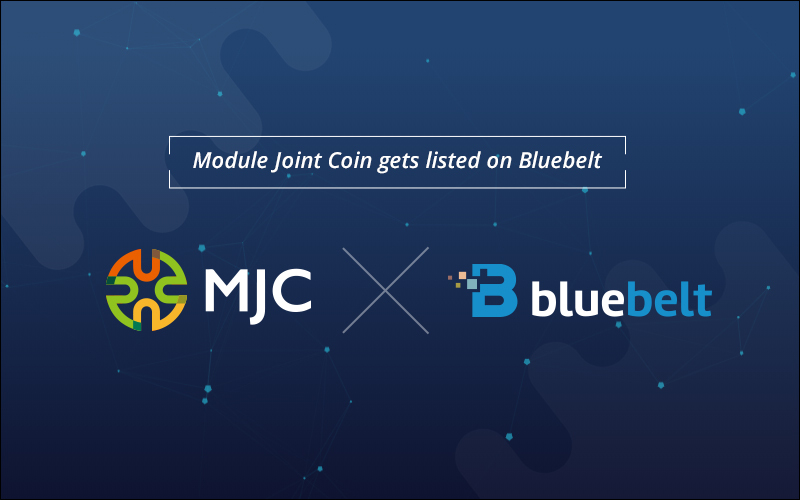 MJC tokens will be paired with cryptocurrencies and major and minor fiat currencies supported by the Bluebelt platform.